Really great property management staff and well furnished apartments. However, the ownership can do a better job at keeping the residents happy. It’s a great place to live! Everyone so nice! People that work here are always friendly. Maintenance people very helpful and prompt. Quiet and clean! I've loved living at the Flats for the past four years. The staff's incredible service and genuine concern for helping residents- no matter what your question or concern is- make this community what it is. I love all the creative community events the staff put on (pancakes, gift wrapping, and more! ), and they really accomplish establishing a family feel to the place. The amenities are great, and you can't beat the location. I love feeling connected to both the University and the downtown area as a graduate student at the Flats! The living space is excellent. The apartments are comfortable and the gym is well equipped. The pool could be better cared for. But staff are very helpful and there are fun community events. No recycling! The amenities are super accommodating, and the rent is perfectly affordable for someone who is a student. The view of the city is beautiful while also being in the middle of town where all the action is! So far, the exeperience has been wonderful! The building is close to my school, and is close to thr bus system so whether it’s rainy or sunny I am always able to trave to school conveniently. The building is beautiful and cleaned reguarly (THANK YOU) and the staff is so kind and does such a great job making us residents feel as comfortable as possible. There isn’t a negative thing to say about The Flats. The staff is great, the building is well maintained, and it’s affordable. The community is very welcoming I just wish I was able to participate in some of the activities that go on, but Ya gotta make that money. Great place to live, great place to hang out. Awesome perks, good location, and great proximity to a lot of fun stuff, would recommend to others. We are so proud of Flats at West Village and thrilled that you love living here! Thank you for the GREAT review! If you need anything, please feel free to contact us! Our management office is open M-F 9-6. 434.509.4430 or flatsatwestvillage@achliving.com We’re here for you! Decent value for price but typical obnoxious college neighbours. No repercussions for disturbing others, and general lack of common decency. I have enjoyed living here immensely and cannot think of another apartment complex/building that I have visited that I thought was better than here. Extremely satisfied. This is an app and I am on it at this very moment to type at least enough characters to get some more points to see if u can get some money and it is nit working so well. Everyone (including the new staff) is so helpful here! The lovely people in the front office are great with names and are always able to remember mine when I come for mail or parking passes, which makes the Flats seem more like a community. Every time I submit a maintenance request, I'm always amazed by how quickly and efficiently it's handled! Staff is friendly enough. I believe the hot tub is still not working, which is just too bad because now is quite literally the only time that I would ever want to use it. Overall, the flats is a nice complex, however, there are some cosmetic changes I would make condidering hoe expensive it is. It should be more comparable to the places around us. great! good experience for the price. very friendly. love the apartments. the gym is also really good. also very pet friendly which is important. A nice community of students. Close to grounds with luxury amentities. Maintenance staff is awesome and fast. Front desk is very helpful! Coffee in the lobby and free printing is also a perk! I love The Flats. They always care for their residents needs and are always there to help. Everyone is very sweet and I don’t have a single bad complaint! The staff is by far the highlight of the apartment building. Their main goal is the satisifaction of the residents, as it should be in the hospitality industry. Brandon, you always have the nicest things to say! 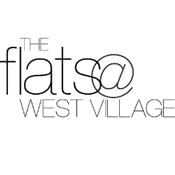 We are so proud of Flats at West Village and thrilled that you love living here! Thank you for the GREAT review! If you need anything, please feel free to contact us! Our management office is open M-F 9-6. Call 434.509.4430 or email community email flatsatwestvillage@achliving.com We’re here for you! So far, everything great! The room is perfect, end I really love the location: Close to downtown and UVA. I'm waiting for Summer in order to try the swimming pool! The Flats at West Village offers a clean, safe environment for students to live. It is also more affordable than most of the luxury student apartments available near UVA.